I guess you could call it travel guilt. It kicked in big time a few years ago, when a number of friends were planning trips to Yosemite National Park. At some point, someone asked me what my kids liked to do in Yosemite. I started to talk about the Mist Trail, then realized, though I love Yosemite, I’d never taken my kids. We live in northern California. Yosemite is practically our backyard. I got out the calendar and picked a weekend. It was still winter, and I had months before I needed to get organized … or so I thought. Organizing our five nights in Yosemite was trickier than I expected. If you want to stay in the park, (which I highly recommend), your options are a bit limited. There are only a few hotels to choose from, so reservations can be pricey and tough to come by during peak times. That leaves camping. Although it’s incredibly affordable, the competition is more than fierce. Yosemite has 13 phenomenally popular campgrounds. From May through September, seven of the campgrounds are first-come, first-served and often fill up by noon. The remaining campgrounds are by reservation. … is not easy. And that’s an understatement. Campground reservations open in blocks of one month at a time, up to five months in advance, on the 15th of each month.For example, if you want to camp July 15 through August 14, reservations open March 15 at 7a Pacific time. You can make reservations online or by calling a toll-free number. 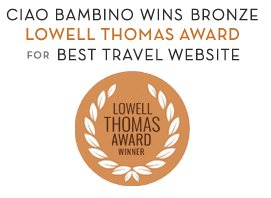 Want help booking a Yosemite vacation with kids? The park offers endless options; you have to be realistic. What you can do, enjoyably, really depends on the ages of your kids. Hiking with a 3-year-old can be backbreaking. Hiking with a 9-year-old can be exhilarating. Know your kids and their limits. 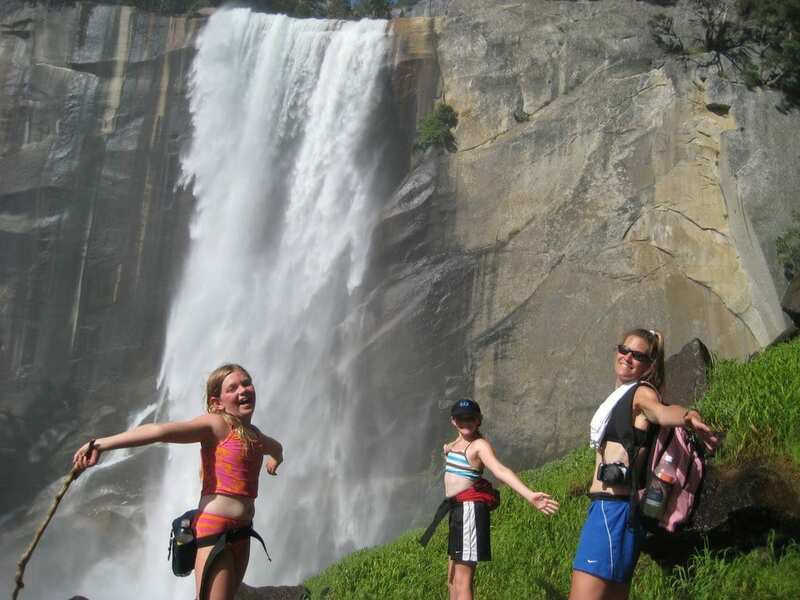 Lower Yosemite Falls is an easy, must-do hike with kids of all ages. The one-mile loop is a short walk with a huge payoff – fabulous views of Upper and Lower Yosemite Falls. It was scorching hot when I did this hike with my girls last summer. The base of the falls just might be the best pool ever. Be sure your kids are wearing good walking shoes that are OK to get wet. Rafting on the scenic Merced River is a fabulous way to spend a hot day, and one of the best ways to see the valley’s amazing scenery. Floating is easy; it doesn’t matter how old you are. Pack a picnic lunch and rent a raft at the Curry Village Recreation Center. You’ll get life jackets and paddles, but the river does most of the work. Take your time and beach whenever the mood strikes you. There are plenty of sandy stretches to get out and swim or set up your picnic. Families abound, so don’t be surprised if your kids make some new friends. When you reach the end of the 3-mile stretch down the river, folks are standing by to take your raft and shuttle you back to Curry Village. The peak of summer brings hundreds of thing to do in Yosemite. Along with the obvious perks Mother Nature holds for visitors, the National Park Service does a fabulous job of offering lots of what I like to call “extras.” Read the Yosemite guide online or pick up a copy when you arrive at the park. It lists everything happening in the park, and there’s a ton to choose from, like family scavenger hunts, ranger walks and photography classes, just to name a few. My family of four took Sharpie art classes after dinner two nights in a row, and learned about Yosemite’s Ahwahneechee Indians. And yes, both of my girls learned how to start a fire rubbing stick together. Long days of playing make for tired legs. Leave the car parked and use your bike to get around the Valley Floor. Traffic is one of Yosemite’s biggest headaches, and though there are popular and crowded shuttles running pretty constantly, jumping on and off bikes is a breeze. In many cases, you’ll move faster than cars headed in the same direction. There’s also the bonus of being able to stop when there’s a deer on the sidewalk or bear scampering across the meadow. And there’s always the possibility of a late-night stop for ice cream at Curry Village. Great post — I am a rare & lucky regular visitor to the park with a family cabin in Wawona, a small town about 45 minutes outside of the valley. If your trip allows, I would also encourage venturing out of the valley to see Wawona or the Mariposa Grove. Both see far less visitors than the valley itself, which can be nice during overcrowded summers.